After many builds and versions of Movie Nfo Creator, I finally achieved more than what I really wanted from this app. Since day one I wanted to create a tool that would help everyone to create the perfect description to post in forums on the web. With this version LuJoSoft Movie Nfo Creator 2015 I really accomplish my goals, to make it so that everyone will be able to use it no matter what kind of template they use to create their descriptions. 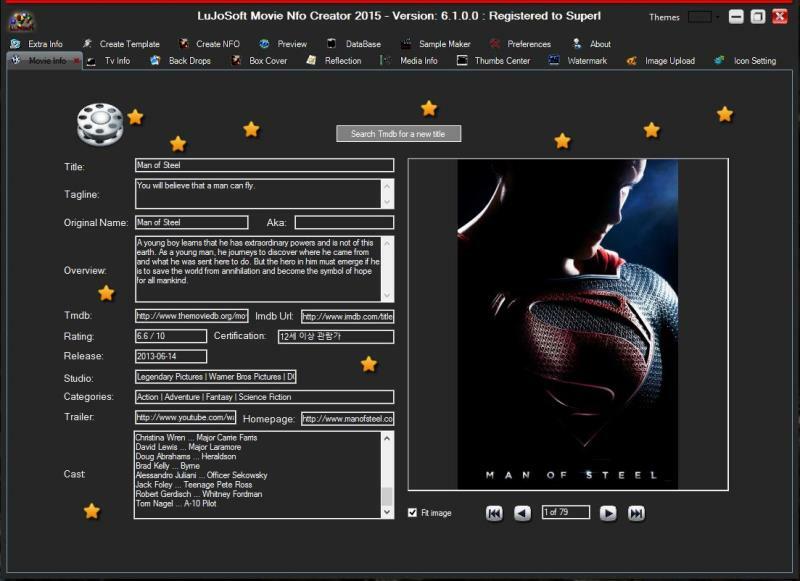 Much faster than any other version, the core of LuJoSoft Movie Nfo Creator 2015 is completely redesign, this version will remember all your settings that you made the first time, so with this version after the first creation you won't need to visit all the other tab to create a description, just choose a movie or tv show then import the movie file then create the nfo. The tab system completely redesign, you are able to view only the tab you want. Also added a new tool "Sample Maker", it will create sample from any format to any format in a blink of the eye.